Designer looks with twice the value! 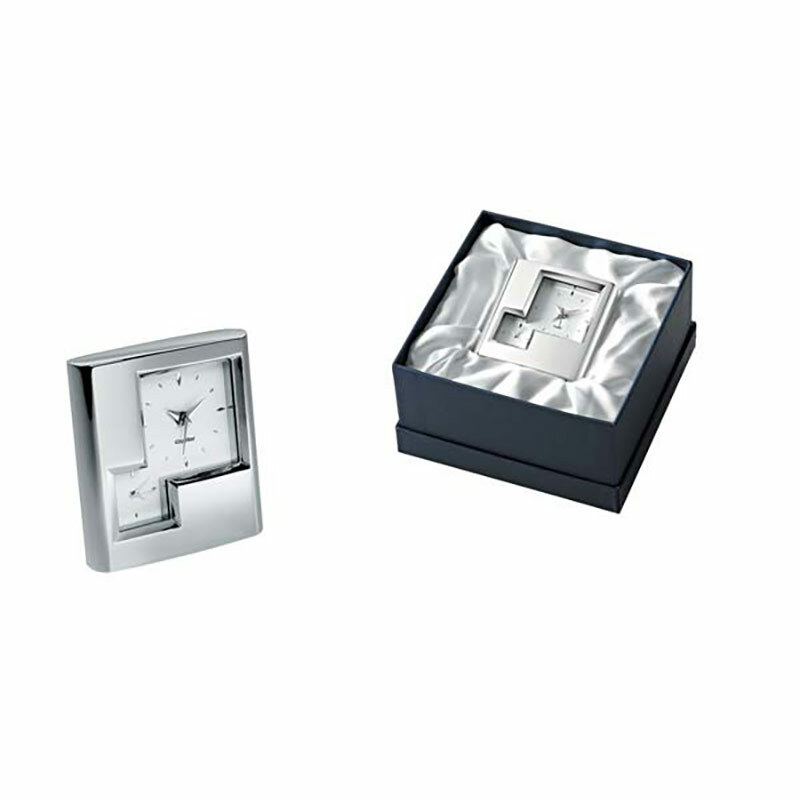 These gorgeous silver plated desktop clocks feature twin clock faces to allow two time zones. They also feature an alarm function, making these dual time clocks as practical as they are stylish. Add a free engraving of text and/or logos from Business Gifts Supplier to create a highly desirable branded corporate gift or awards item.